The beautiful continent of Europe comprises of nations, which are some of the most scenic and romantic destinations in the world. From London in England and Paris in France to Rome in Italy and Vienna in Austria, the continent is home to exciting destinations which are ideal for a honeymoon in Europe. Catch a romantic gondola ride at Venice, marvel at the Swiss countryside, enjoy a long walk with your loved one in the city of love, Paris or go shopping in London. Explore the sights and sounds of Europe on your honeymoon package with SOTC. Bordered by the Atlantic Ocean on the west, the Arctic Ocean on the north, Ural mountains in the east, and the Mediterranean Sea to the South, a visit to the European continent is visually magnificent and historically significant. 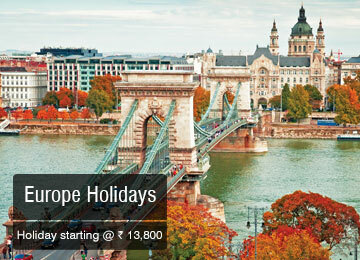 The best way to explore them is with a customised Europe tour packages. Home to some of the most prominent and captivating monuments and UNESCO world heritage sites, every part of Europe stands tall as a trying testimony of its glorious and disconcerted past. Distinctly divided into three regions- Western Europe, Central Europe, and Eastern Europe- each one is more enchanting than the other. Europe packages can take you through a whirlwind honeymoon tour across the continent. 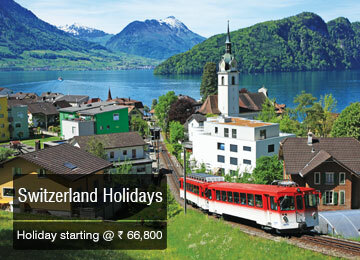 Know more about some interesting things to do in Europe with SOTC Holidays. You can start your honeymoon package at delightful Italy where you visit Rome to know why it wasn’t built in a day. Spend time at the rather chivalrous London where you have the London Eye, St. Paul’s Cathedral, and its other lovely tourist spots waiting to greet you. Evenings by the River Seine in Paris, enjoy the starlit night right under the Eiffel Tower and take a walk on the cobbled streets of the City of Love. Call this a teaser of the thrill the European continent has to offer. Europe tourism offers truly interesting experiences and is one of the best places for honeymoon. Honeymoon packages for Europe take you through a gamut of interesting places to make your honeymoon memorable. Some of the best places to visit in Europe, other than those mentioned above are Moscow in Russia, Berlin in Germany, Budapest in Hungary, Madrid in Spain and the Swiss countryside. This continent is also known for its world-renowned cuisine, so if you’re a food lover, this place is even more enticing. Your Europe trip is incomplete without trying its interesting cuisine. The best time to visit Europe is from April until June or September and October. Europe honeymoon packages offer you exciting experiences for a romantic and memorable honeymoon and hence, Europe is mostly on the top of all kinds of international honeymoon packages! Discover the majestic beaches and beautiful landmarks of Sri Lanka, marvel at the beauty of the charming Greece, or enjoy an exciting safari with your beloved at Kenya. Head to SOTC for more information. Browse through our exclusive International tour packages to explore the best places around the globe! Each region has a unique and delicious cuisine of its own. Don’t forget to experiment with local dishes. Travel by the Euro Rail. The journey is very scenic and romantic. A season pass will also be cheaper. Walking is the best way to explore a place. Walk around the cities to get a feel for the local culture and sights. For a more romantic time, head to the Mediterranean countries for a dose of sun and sand.